January | Kitchener Portuguese Club Inc.
Posted in: Friday Night Socials. Tagged: $10, 2017, 27th, Bacalhau, Codfish, friday, January, KITCHENER PORTUGUESE CLUB, night, potatoes, Small Side-Bar, Snack, social. 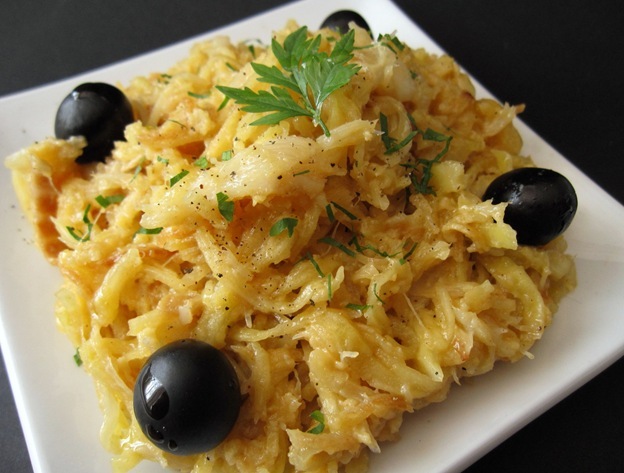 This Friday, (Jan. 27th at 6:30pm) the Side-Bar of the Portuguese Club of Kitchener will be open, for another Friday Night Social..
We’ll be having: Codfish A La Portuguese Club. Posted in: Friday Night Socials. Tagged: 2017, 20th, All Are Welcome & Bring Friends, Alternate Plate, Chicken, friday, January, KITCHENER PORTUGUESE CLUB, night, rice, Sauce, Small Side-Bar, Snack, White Rice and Chicken. This Friday, (Jan. 20th at 6:30pm) the Side-Bar of the Portuguese Club of Kitchener will be open, for another Friday Night Social..
We’ll be having: Rice & Chicken with Sauce, (identical to the picture below but, for those who don’t want this plate, there will be white rice and chicken, as a alternative plate but not as shown). Posted in: Friday Night Socials. Tagged: $10, 2017, 6th, All Are Welcome & Bring Friends, friday, January, KITCHENER PORTUGUESE CLUB, night, ribs, Small Side-Bar, Snack, social. This First Friday of 2017, (Jan. 6th at 6:30pm) the Side-Bar of the Portuguese Club of Kitchener will be open, for another Friday Night Social..
Posted in: Friday Night Socials. Tagged: $10, 2016, 29th, club, friday, January, kitchener, night, Octopus, portuguese, potatoes, Side-Bar, Small, Snack, social. In 24 hours, (Friday, Jan. 29th at 6:30pm) the Side-Bar of the Portuguese Club of Kitchener will be open, for yet another Friday Night Social. Posted in: Friday Night Socials. Tagged: $10, 15th, 2016, club, Codfish, friday, January, kitchener, night, portuguese, Side-Bar, Small, Snack, social. This Friday night, (Jan. 15th at 6:30pm) the Side-Bar of the Portuguese Club of Kitchener will be open, for a another Friday Night Social.